This card uses the new Fanciful Flutter keepsake die from Tonic. Perfect for any occasion. 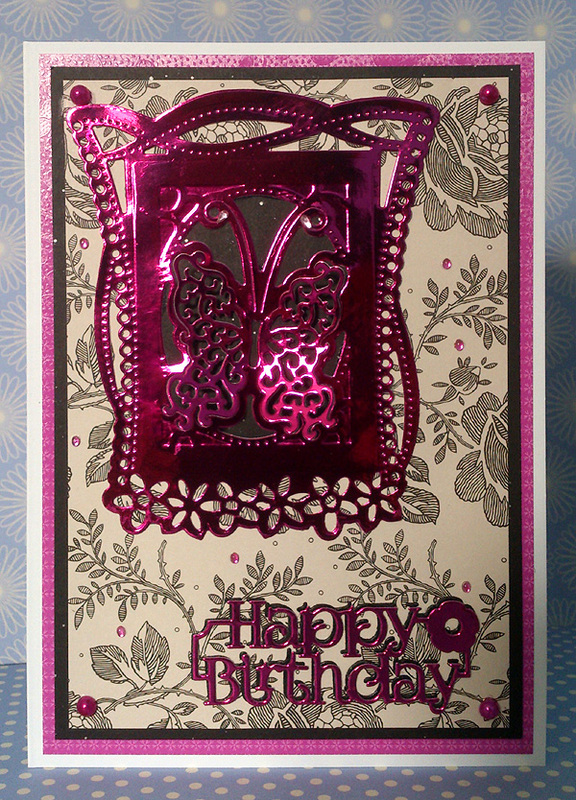 Here I have used some shiny pink cardstock to show off the lovely detail on this diecut. Don't miss the shows with Jo today on Create and Craft at 10am and 6pm. And if you haven't done so already, don't forget to sign up for Tonic Gold. Did the Fanciful Flutter flutter its way into your shopping basket yet?